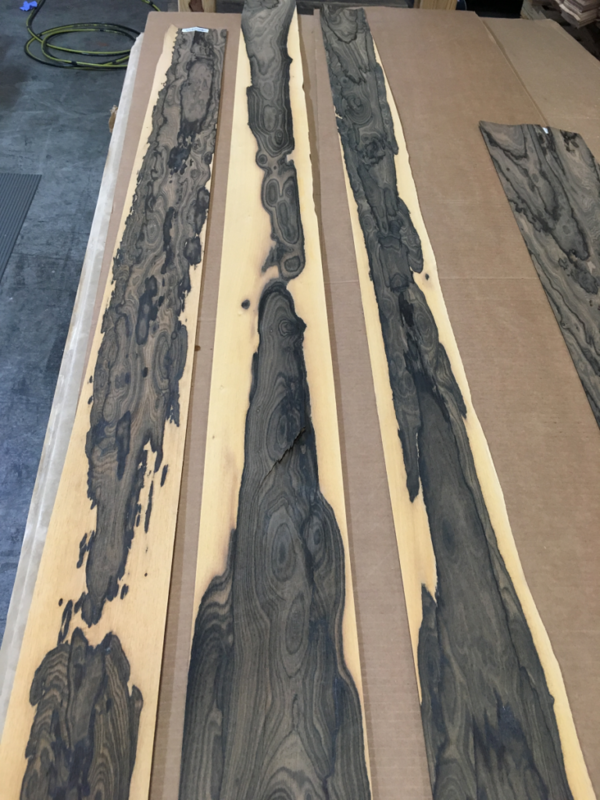 We’re reminded of that oh so common saying in the veneer industry every time we sequence a new Ziricote log. Like a diamond valued for its color, cut, clarity, and carat weight, an individual log is valued by its cut, color, size, and figure type. 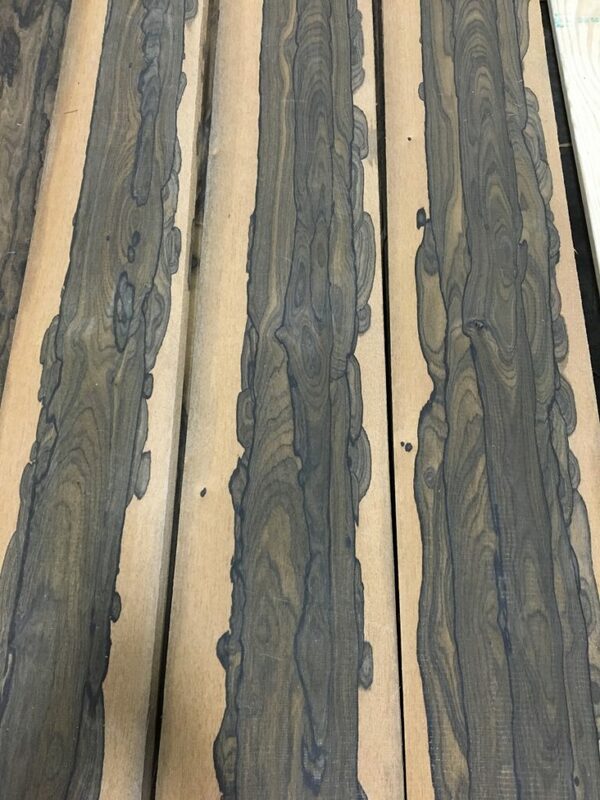 Ziricote, also known as Mexican Rosewood, grows in Central America from Mexico to Columbia and here and there in the southern United States and Brazil. It’s a heavy wood but small in diameter making it very dense and difficult to cut through. Trees with usable log lengths of more than 3m and 30cm in diameter are extremely rare. Our parent company Fritz Kohl specializes in slicing Ziricote for a worldwide market. 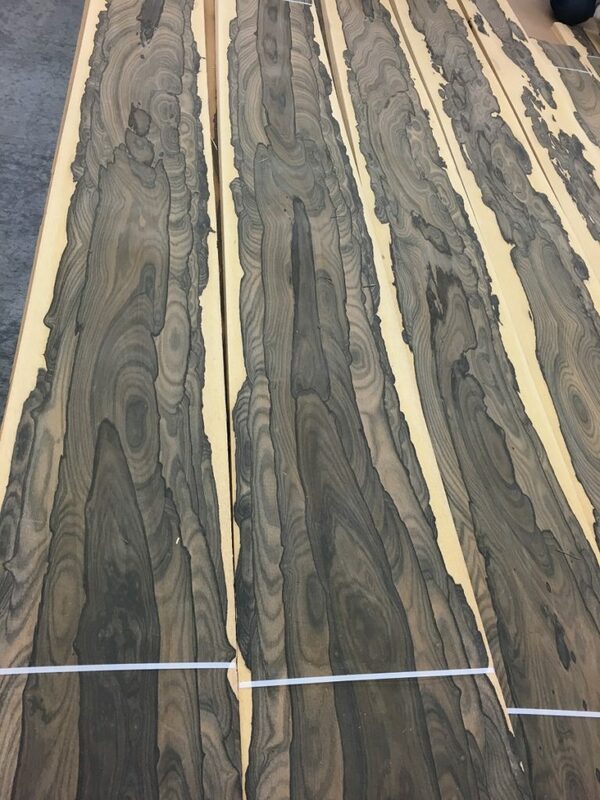 Its grain is visually striking with a white-yellow sapwood and heartwood dark brown with irregular deep black zones. 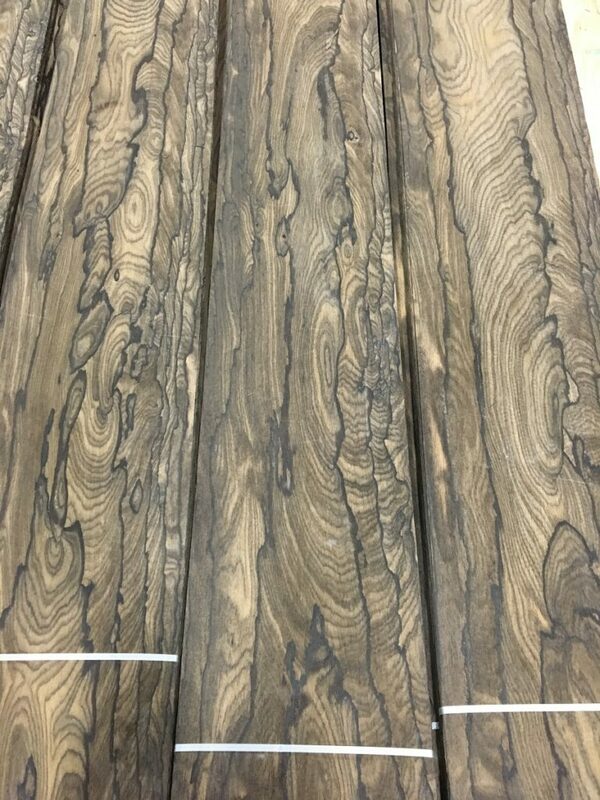 Very decorative when matched to accentuate the sapwood, its intense character makes it preferable for special carvings and high end architectural woodwork. No two trees are alike… just look at the Ziricote logs we’ve sequenced throughout the year. To view complete Ziricote inventory click HERE.